Some walleye were caught in 12 to 14 feet at the Pinconning Bar; in 22 feet near Buoys 1 and 2, near the old Dumping Grounds with a crawler harness, in 16 feet a half mile north of Spoils Island with crank baits or a crawler harness, a half mile east of the island with a crank bait or flicker shad, and in 15 feet along the Callahan Reef with a crank bait or spoon. Off Quanicassee, the fish were scattered. Off Sebewaing, a few were caught on both edges of the Coryeon Reef and along the Slot in 16 to 18 feet. Walleye were taken in 10 feet in Wildfowl Bay. At Port Austin, a couple fish were taken in 17 to 38 feet but the better action was near Oak Point in 35 to 40 feet. Saginaw River catfish and smallmouth bass were caught near Smith Park. #walleyefishing slowed but anglers were still getting some fish straight out in 25 to 35 feet and north towards the Charity Islands with a crawler harness or small flicker shad. A few perch, pike, freshwater drum and bowfin were also caught. Out from Eagle Bay Marina, walleye were caught in 12 to 14 feet along the Saganing Bar. The walleye action was spotty as some caught 2-4 per boat while others managed 8-9 per boat. Most were caught in 28 to 40 feet. Good catches of lake trout were taken out at the ledge and between the Au Sable River mouth and Greenbush in the bottom 15 feet as well as suspending 30 to 50 feet down in 80 to 120 feet. Meat rigs, spoons, and dodgers with spin-glo’s or peanuts have all been effective. Steelhead fishing picked up and anglers found them along with the odd coho or Chinook salmon when trolling spoons 30 to 55 feet down in 90 to 120 feet. Atlantic salmon were caught on spoons 20 to 50 feet down in 100 to 120 feet. Suspended walleye were also caught in the top 20 to 40 feet. Orange, chartreuse, chrome and purple were good colors. Pier anglers caught drum, smallmouth bass, channel cats and the odd walleye when still-fishing with crawlers at night. 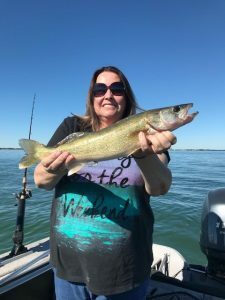 Walleye were caught in the holes near Oscoda but the bite was slow and the fish caught were sub-legal. Those drifting crawlers or casting twister tail jigs and crank baits caught smallmouth bass. Rock bass and drum were taken when drifting crawlers. Channel cats were hitting on crawlers in the evening. Those still-fishing with minnows in Cooke Pond caught smallmouth bass near the dam. Water temperatures below Mio were still in the mid 70’s but the stretch between Grayling and Mio had fishable temperatures. 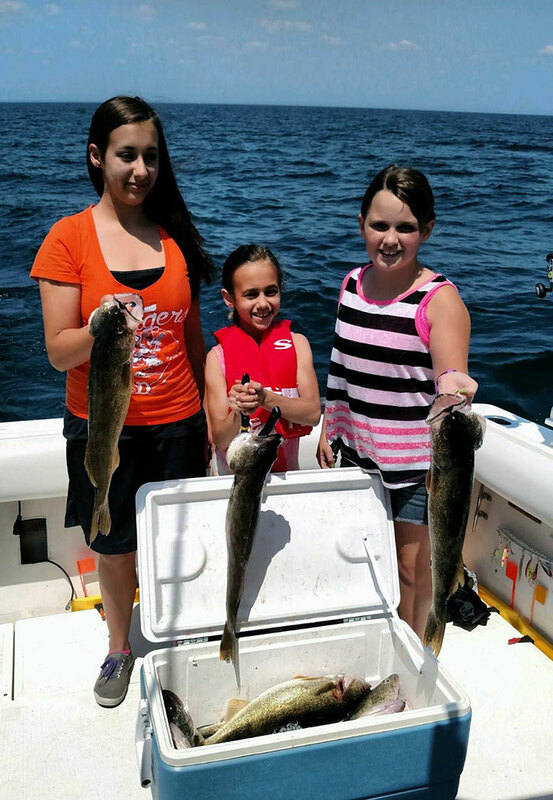 Lake trout and walleye were caught north of Au Sable Point in 25 to 70 feet with small spoons. Walleye were caught on spoons, body baits or crawler harness in 35 to 55 feet off Buoy #2 and beyond the Crib when trolling in 60 feet. Bass were caught on worms and artificial baits inside the marina. Many anglers love to fish with crankbaits (also known as plugs), a type of hard-bodied fishing lure. Below are some criteria to think about when selecting a crankbait. Fat-bodied crankbaits that are shorter will displace more water and create more vibration. Many anglers prefer this type of crankbait when fishing in dark water or at night. Thin-profile crankbaits glide through the water with minimal resistance. This option is great when fishing clear water and targeting species that are sight feeders. Crankbaits with less buoyancy are better suited for water with minimal cover and clean bottoms while those with more buoyancy are better for fishing around cover.